Let me first start off this post by saying that it was VERY windy in Annapolis last weekend.. Therefore, there shall be no judging of how my hair looks in this post! Moving on.. New Years Eve is tomorrow! What does everyone have planned?! For those of you who are not going out and getting super dressed up in sequins and glitter, this post is for you! The misconception for most is that when it comes to NYE, you have to be dressed up in dresses and heels, even to just go out to a nice dinner... WRONG! 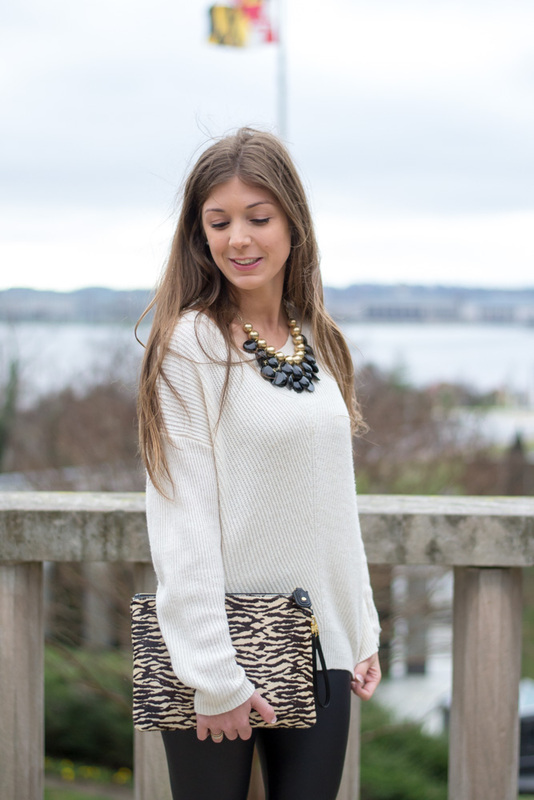 It wasn't very difficult to glam up a comfy sweater and of course, my favorite.. leggings. 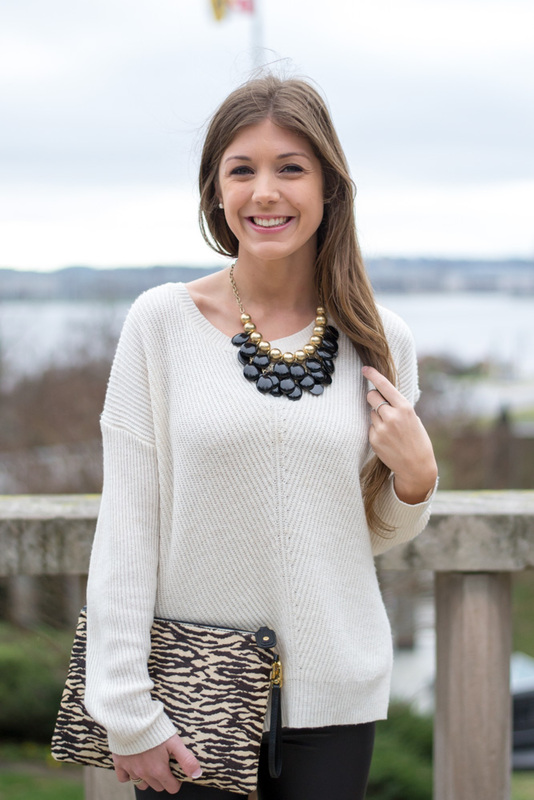 By adding a pair of faux leather leggings and a statement necklace to this basic sweater, my outfit instantly looks more chic and NYE ready! We're going to the National Harbor tomorrow night for NYE at the Gaylord National Hotel & Resort. Tickets were a little pricey, but from what I've heard, it is well worth the money! I hope you all have a fun and safe night saying goodbye to 2015!